One of our goals when we started On Landscape was to create a publication that was part magazine and part website and that had the best of both worlds. 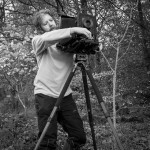 As part of this the PDF has been a great success and we know many of our readers take our issues on location with them where there is poor internet connectivity. However, one of my pleasures in seeing the On Landscape magazine published every two weeks was to see the rich community discussing the articles - sometimes as interesting as the article itself. The success of the PDF has dampened this somewhat as for many people the first time they look at the magazine is in PDF form where access to the comments and discussion are at a distance. 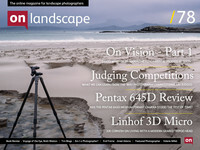 As consumers of content about landscape photography as well as producers, we also visit various websites on a daily basis like Petapixel, The Online Photographer or DP Review and we realised that we’d like to give our readers a similar experience but in relation to landscape photography. As such, to kill two birds with one stone (a pointy, heavy one) we’re changing how we publish the magazine after this issue. Don’t worry though, you’ll still have your PDF but the contents of the PDF will be posted online over the preceding two weeks. We’re hoping that this will give people a reason to come back to the website and hopefully because only one article will appear at a time, any discussion will be focussed on that article. This also gives us a chance to publish a little more commentary and news, as such the news section (which was a little tumbleweedy) will be rolled back into the main magazine. Finally, we have the opportunity to include some of the discussion and comments on the articles into the PDF of the issue. 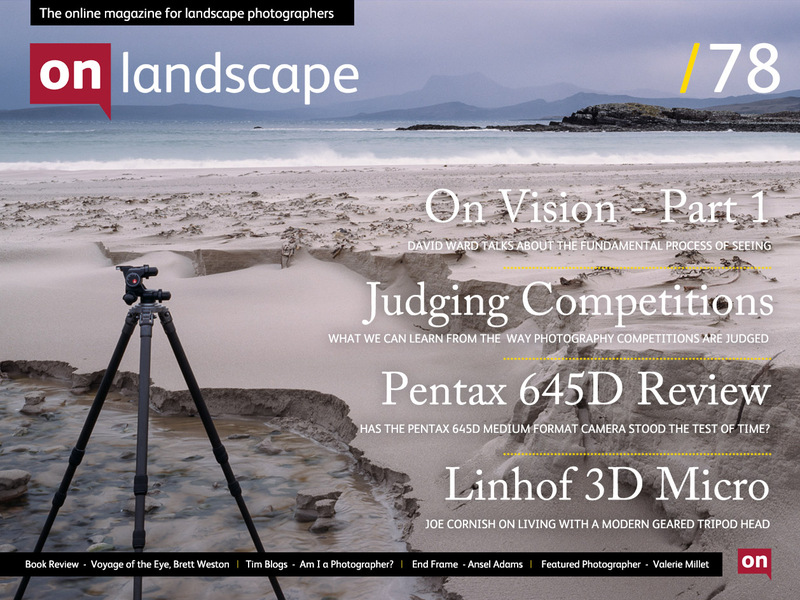 We hope that On Landscape can evolve into a place to discuss landscape photography and as such if you have any ideas for topics to put to our readership, please let us know.